The family of disbudded spider chrysanthemum Baltazar will be extended by Baltazar Intense on Wednesday April 11th. This variety is more purple than Baltazar, but with the same light green ends of its petals. 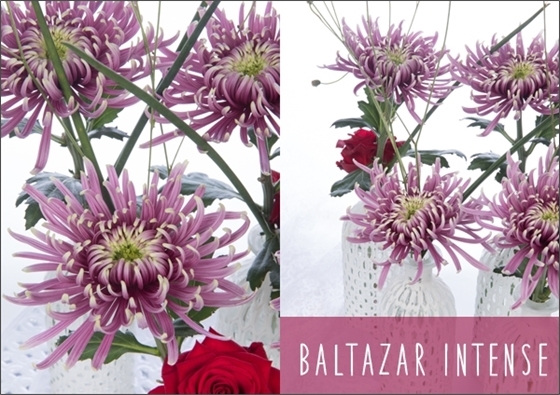 This creates a characteristic appearance for Baltazar Intense and will therefore inspire many creative florists. Baltazar Intense is transportable on water as well as in boxes and has a long vase life. Check our image bank for pictures of Baltazar Intense.